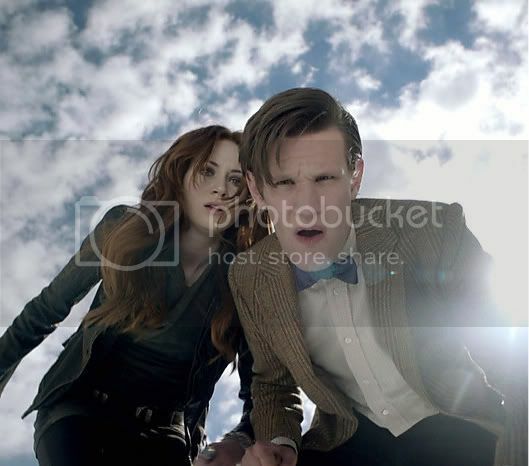 Doctor: Drop your weapons, or I'll kill him with this deadly jelly-baby. Doctor: Killing me isn't going to help you. It won't do me much good, either. Doctor: You wouldn't want an unfair advantage, would you? Doctor: I knew you were going to say that. Stotzie! We'll be touching down in a couple of minutes. Or more likely crashing down, you see I'm a bit out of practice with manual landings so if I were you, I'd find something firm to hang on to! Alright its a jammy dodger but I was promised tea!!!! Doctor: Nothing happened. There was a sort of unexplosion. Sarah: It's a long way down, too. OMG forgot about that one! Love that bit! Leela (looking at her clone): K9, do I really look like that? Jack - You look a little dizzy. Rose - What about you? You're not even in focus. Jack - I try never to discuss business with a clear head. "Hey, I'm the Doctor, I can save the universe with a kettle and some string, but look at me, I'm wearing a vegetable." Cybermen: You will identify first. Dalek: Daleks do not take orders. Dalek: Daleks have no concept of elegance! Cybermen: This is obvious. But think. Our technologies are compatible. Together we could upgrade the universe. Dalek: This is not war. This is pest control! Cybermen: We have 5 million cybermen. How many are you? Cybermen: You would destroy the cybermen with one Dalek! Raise communications barrier! Dalek: Female's heartbeat has increased. Mickey: Tell me about it. "Gotta go. Something going on. Well, four things. Well, four things and a lizard." Rose: You wouldn't want to mess with our designated driver. Doctor: (walks in with a glass of what appears to be wine) My GOD the French know how to party!!! 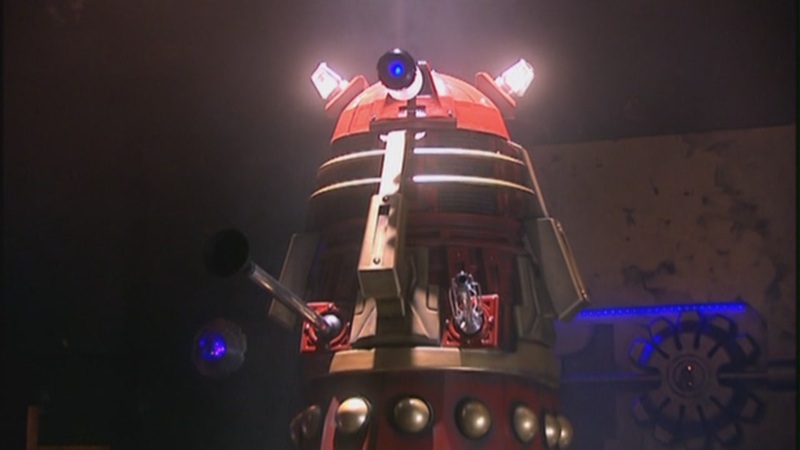 Dalek: The Doctor will not intervene! Doctor: Yeah? And why's that? Dalek: We have your associate. If you interfere, she will die. Dalek: What is the meaning of this? Doctor: It means no. 'cuz this is what I'm gonna do. I'm gonna save her. I'm gonna go into the middle of the Dalek fleet and rescue Rose Tyler. And then I'm gonna save the Earth. And then, just to finish off, I'm gonna wipe every last stinking Dalek outta the sky! Dalek: But you have no weapons. No defenses. No plan. Doctor: And doesn't that just scare you to death? Reinette: This is my lover, the King of France. Doctor: Yeah? Well, I'm the Lord of Time. Reinette: We both know, don't we Rose, the Doctor's worth the monsters. Doctor: Just keep looking at me, Craig. Right at me. Just keep looking. Doctor: Well, because, because ... because I love you. Doctor: Yes, Craig. It's you. It's always been you. Doctor: Is that so surprising? Craig: Doctor, are you gonna kiss me? Doctor: Yes, Craig. Yes, I am. Would you like that? Bit out of practice, but I've had some wonderful feedback. I'm a Time Lord... I'm not a human being. I walk in eternity. Doctor: Romana, you can't be a successful crook with a dishonest face, can you? Ian: Maybe, if we knew his name, all this would become clearer. From An Unearthly Child - an interesting comment, considering what's been happening lately. Romana: The face of the clock is fractured. Doctor: Almost like a crack in time. A broken clock and a crack in time - any chance Moff knows this scene? Doctor: We're both scientists, Professor. We buy our right to experiment at the cost of total responsibility. ....There are some sentences I should just keep away from.